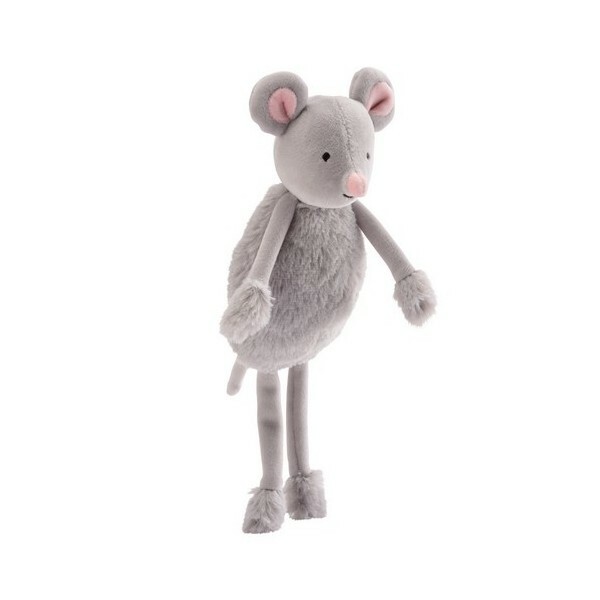 Noemie the Mouse is an adorable soft toy. 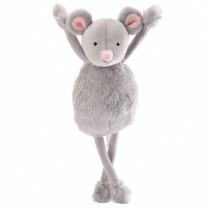 With long thin paws and a fluffy belly, Noemie the grey mouse is also a food lover. So soft and easy to grasp, it will soon become baby's favorite! 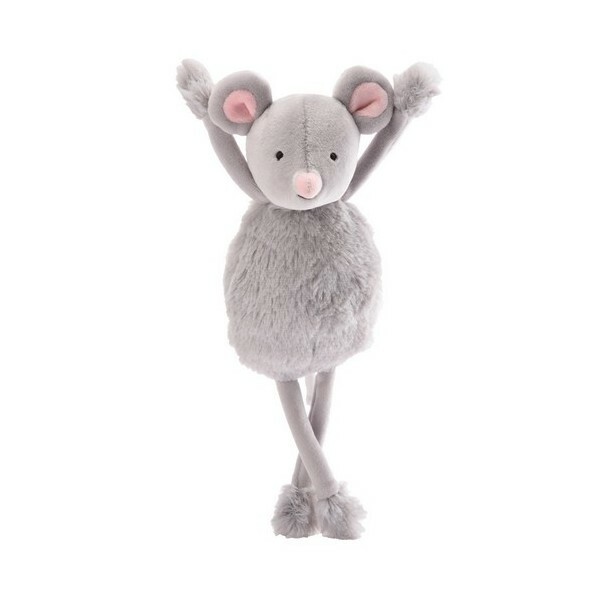 Noemie la Souris is an adorable soft toy. 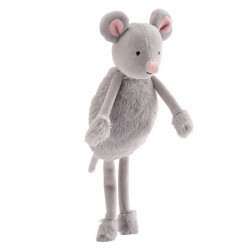 With a fluffy belly and long thin paws, Noémie the grey mouse is a food lover. So soft and easy to grasp, this mouse soft toy invites the child to discover contrasting fabrics. Perfect from the craddle, Noémie la Souris will soon become baby's favorite! 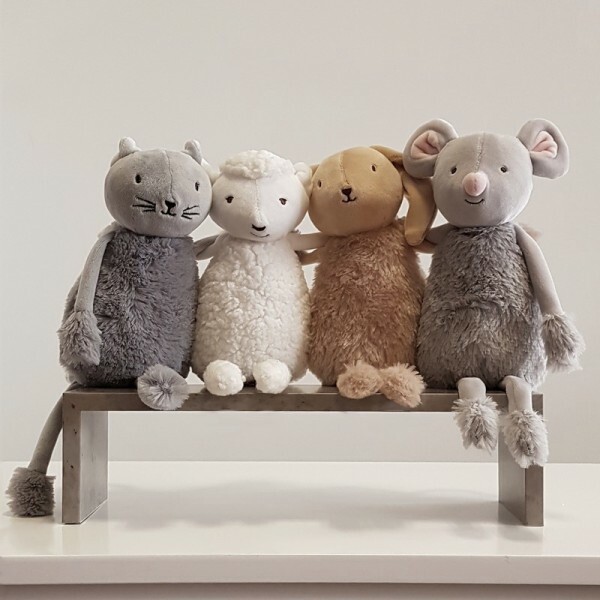 Discover the other soft toys Oscar the cat, Simeon the sheep and Valentin the Bunny. et retrouver ici toute la Collection : Les doux Bidous. Pioupiou & Merveilles, enchanting kids' rooms. Designer of furniture, interactive soft toys, decoration and accessories.